博恺集团有限公司是一家出口型企业。工厂是天津博恺阀门制造有限公司，从事出口业务近10年。主营产品阀门 工业管道五金配件，有工厂资源以及丰富的出口贸易经验，现主要市场 俄罗斯 哈萨克斯坦 中东，等地。公司已经有一定的业务量，有稳定的客户。公司能为员工提供广阔的平台，良好的发展空间。真诚，友爱，活力是公司的特色。真诚欢迎有识之士加入我们这个年轻的团队，实现自己最大的人生价值！BKVALVE company specializes in the production of ball valves, butterfly valves, check valves, globe valves and other valves.In the field of valves, company  has a rich design and production experience. All products pass through special processing equipment and meets international standards of reliability and safety. The company already has fifteen years of experience, provides customers with design solutions in various areas such as oil, chemical, gas and other fields of industry. 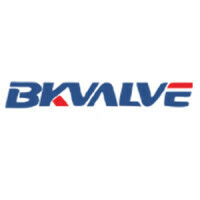 One priority advantage of the company bkvalve is the extension of the partnership not only with China, but also with foreign countries.Our products have reasonable prices, while providing our customers with the highest quality products. The company has the possibility of fast delivery of goods.We are able to quickly fulfill the requirements and desires of the customer! We are very glad to offer the services to meet the requirements of our clients!